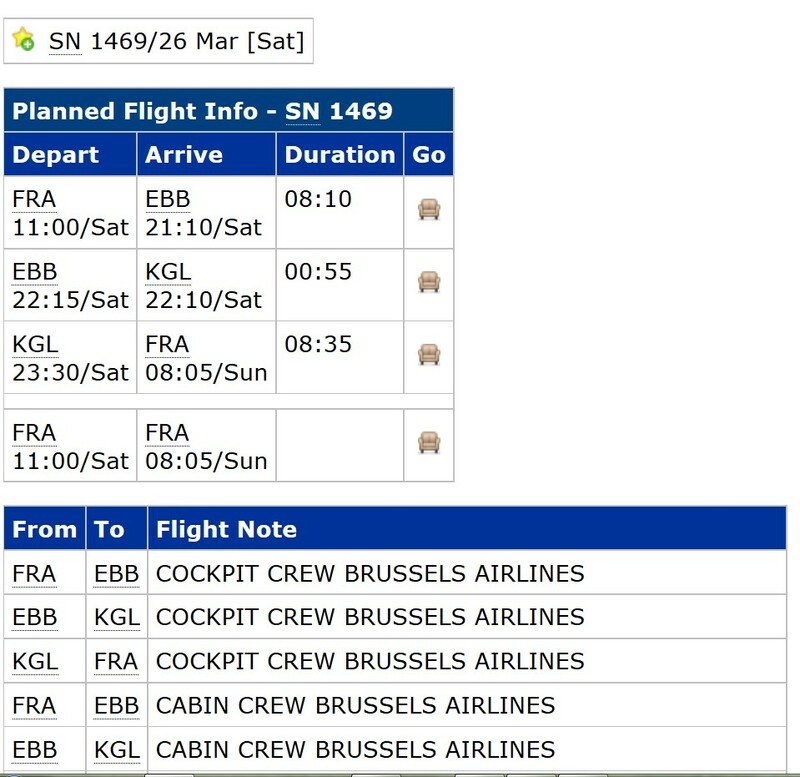 According to KVS Mobile, Brussels Airlines will operate a flight Frankfurt Kigali Frankfurt via Entebbe, on 26 March 2016. Zurich and now Frankfurt are currently used by Brussels Airlines to operate flights from Africa, due to closure of Brussels Airport. From Zurich, passengers will be transfered on Star Alliance airlines (Brussels Airlines is member of Star Alliance), to reach their final destinations. According to KVS Mobile, Brussels Airlines will operate a flight to Zurich, from Kigali, this evening via Entebbe. 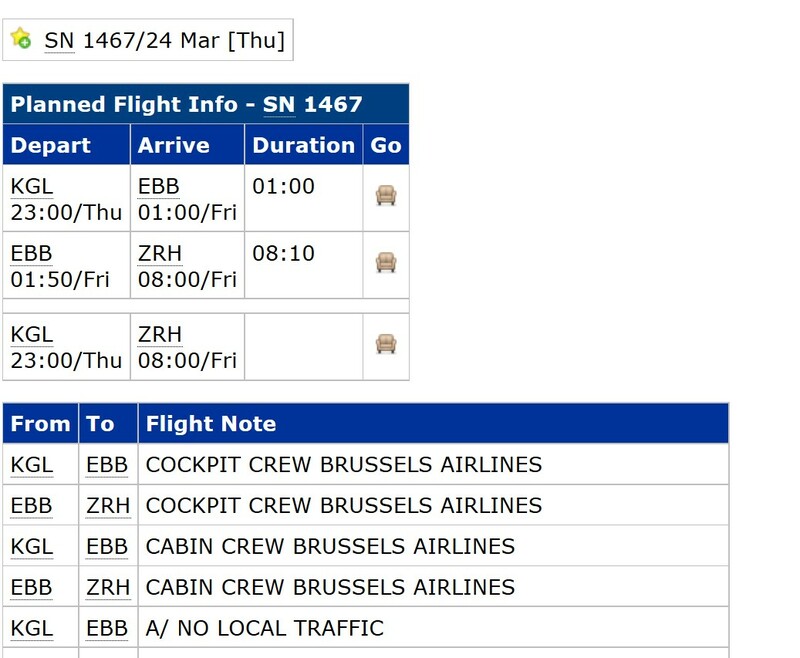 Zurich is currently use by Brussels Airlines to operate flights from Africa, due to closure of Brussels Airport. From Zurich, passengers will be transfered on Star Alliance airlines (Brussels Airlines is member of Star Alliance), to reach their final destinations. Brussels Airlines will operate a ferry flight to Kigali, on Wednesday 23 March 2016. 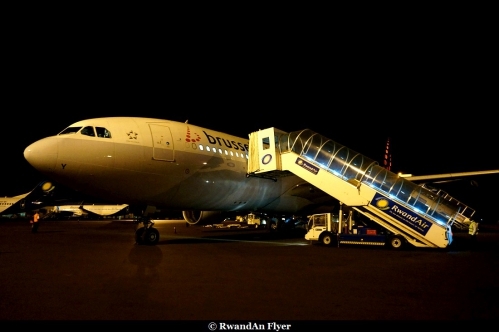 The aircraft will arrive empty at Kigali and will fly back to Brussels. The plane will land on 24 March 2016, at Brussels or in another airports in Belgium, if Brussels is still closed. Follow attacks at Brussels Airport, the airport will remain closed through Wednesday 23 March 2016. SN 465 Brussels Kigali, indefinitely delayed due the closure of Belgium Airspace (power failure). The airspace will be closed until 16h00 Belgium Time. SN1645 repalces SN465 canceled (Engine problems) on 28 July 2014, flight will leave Kigali at 1.00 a.m on 29 July 2014 and will arrive at 10h55 a.m at Brussels. Flight operated with a stop at Entebbe. SN 1463 : Brussels Kigali Entebbe Nairobi Brussels. Brussels Airlines flight to Kigali is canceled today. You can go on Brussels Airlines website(here) or contact the Kigali office li it's here. 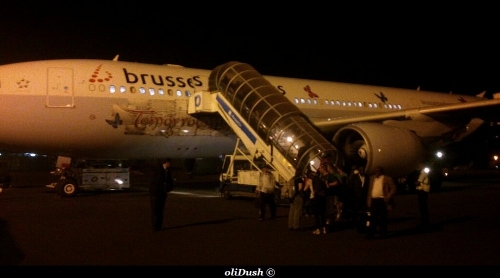 According to various newspaper, a strike could begin tomorrow from 5. a.m at Brussels Airlines. 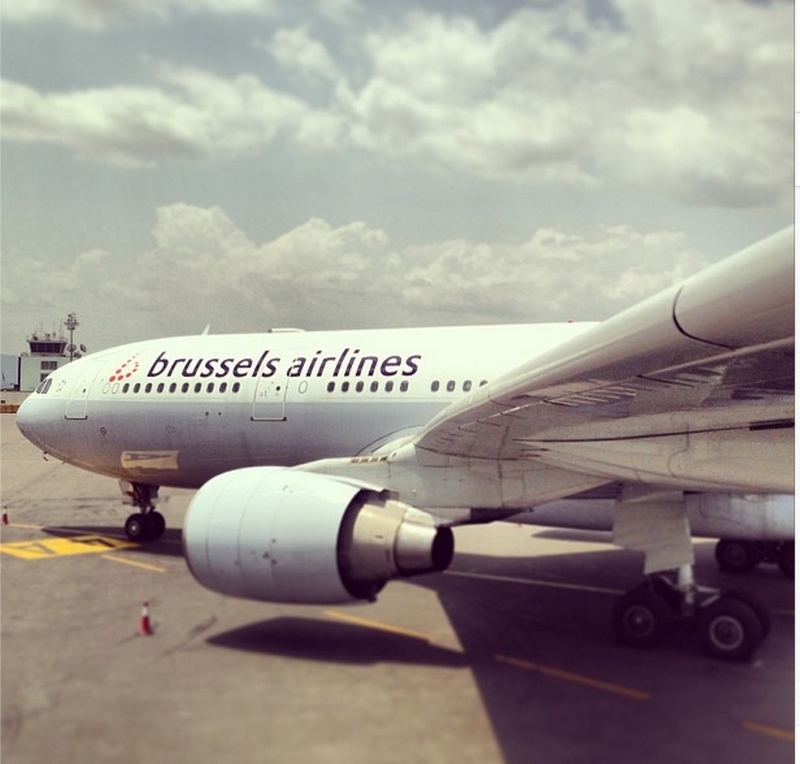 Brussels Airlines operates a flight on Monday, contact Brussels Airlines to have more infos, at Kigali it's here. Strike looms at Brussels Airlines, this month. The unions have decided that a strike now is the only way to solve the problems. Legally, the unions now have to wait one week to announce the strike, but union ACLVB already told the press they will do so. Strike could begin, mid september and could affect flights between Brussels and Kigali. Stay tunned for more informations. Les syndicats du personnel de la compagnie belgeBrussels Airlines, filiale de Lufthansa, ont déposé unpréavis de grève pour la mi-septembre, sans toutefois indiquer une date exacte. Shortage of fuel persists at Mombasa Airport.